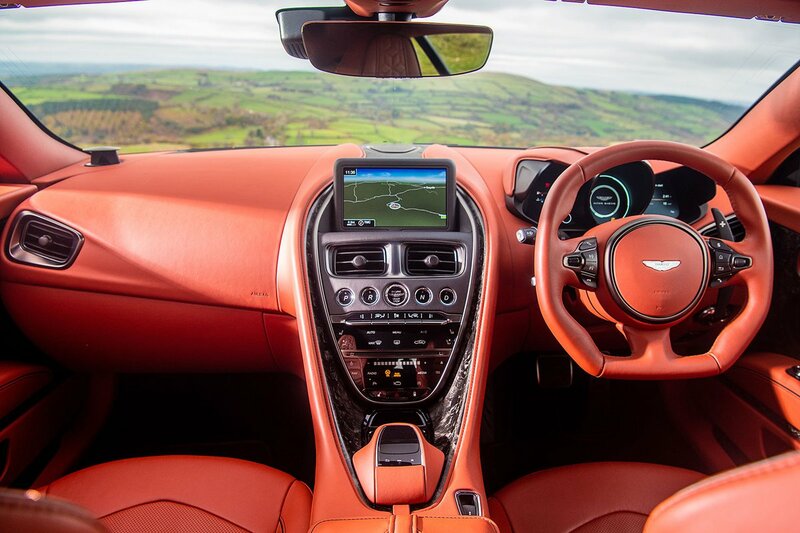 Aston Martin DBS Superleggera Interior, Sat Nav, Dashboard | What Car? It’s blueprinted DB11 in the cockpit of the DBS. That's no bad thing, because the driving position is sound, with ample adjustment that allows all shapes of driver to find their size. Everything moves electrically, because this is no pared-back racer and still very much in the GT mould. Visibility isn’t great, with rather thick windscreen pillars that hamper your view around tight right-handers and a slim rear screen to boot, but that’s standard issue in a car such as this. It comes with a rear-view camera and front and rear parking sensors to offset these issues when you're parking. 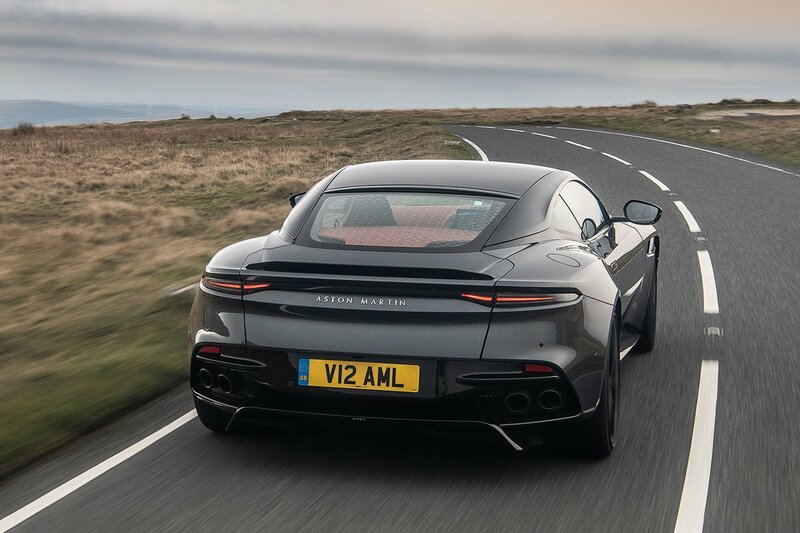 The finish retains the best bits from Aston Martins of old and adds smatterings of modernity, with soft, hand-stitched leathers sitting next to carbonfibre trims. 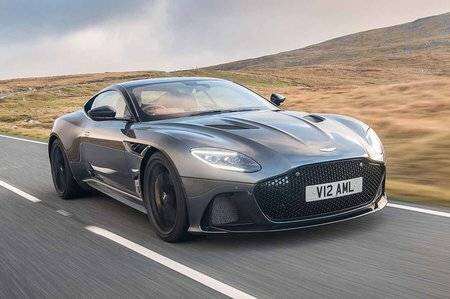 It’s not the most robust interior in places, with the iffy-feeling climate control vents, for example, proving that Aston Martin still has work to do to make it feel properly special. Like in the DB11, there are plenty of switches sourced from Mercedes, as well as its infotainment system. It’s not the best hardware out there, because the menus take some getting used to and it’s laggy at times, but it’s far better than anything Aston Martin used to have. And you operate the 8.0in screen using a rotary controller and shortcut buttons on the centre console, which is less distracting than Ferrari’s touchscreen system.